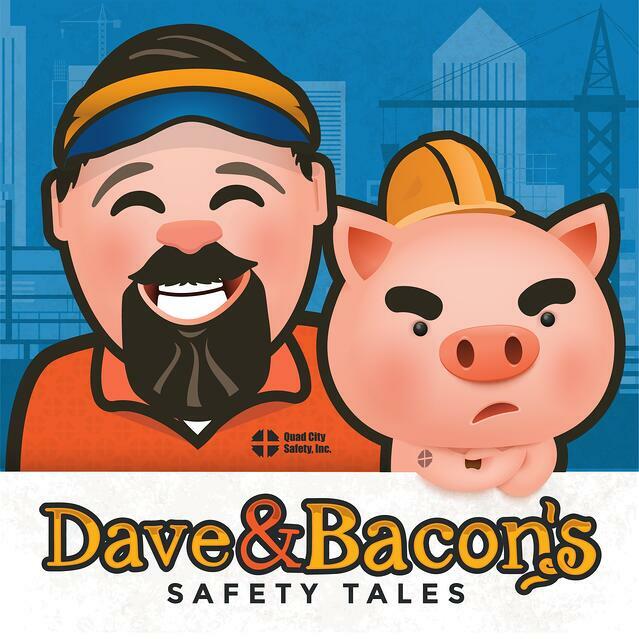 Check out Bacon's helpful tips on donning your fall protection harness! Falls at work account for the majority of deaths in the construction industry. Why? Most likely they’re due to lack of fall protection training, workers using wrong equipment, wearing equipment improperly and lack of proper equipment inspections. Make sure to review 29 CFR 1926.503 and ANSI Z359 so you don't end up head over heels! All fall protection systems will degrade over time, use and exposure. Annual inspection is required on fall protection systems and must be performed either by a qualified person or competent person. And document findings. And for Pig’s sake, get rid of any PFAS systems that have been involved in a fall! Bacon isn’t happy about how many of his buddies are unnecessarily hurt on the job. Make sure you know your equipment can handle what you throw at it!